A woman was arrested on multiple DUI charges, traffic obstruction, and being a minor in possession of alcohol Feb. 6 at 1:31 a.m.
Police responded to the area of East Speedway Boulevard and North Cherry Avenue after a SafeRide employee reported that a woman was passed out in her vehicle. When police arrived, they saw a stopped, running car at a green light, facing eastbound on Speedway.When the officer approached the car, he saw the woman was asleep, with her dress pulled up to her stomach and her underwear pulled down to her mid-thighs. The officer knocked on the window several times. She did not respond, so he opened the door and began to shake her arm. Upon opening the door, he saw a three-quarters-empty bottle of Sailor Jerry Navy Rum on the floorboard of the passenger side. There was a strong odor of intoxicants coming from the woman and the car. After about two minutes of trying to wake her up, she awoke, saying, "No, Clint, not right now." The officer corrected her and introduced himself. 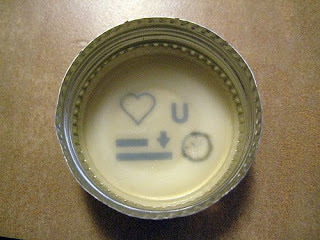 The woman appeared to become more coherent. She was asked to pull up her underwear and pull down her dress. While doing this, she took her foot off of the brake and began to move forward. The officer put the vehicle in park to keep it from moving. When the vehicle was stopped, the woman asked, "So what's that problem officer?" Police asked her if she was OK and if she had been injured. The woman said she was fine. She was then asked if she knew where she was, to which she said, "Uh yeah, I'm coming back from the Slightly Stoopid concert." Tucson Fire Department arrived to examine the woman. They determined that she was fine and left the scene. Police asked the woman if she had been drinking. She said, "OK officer, I'll tell you the truth, yes I have been." The officer noted that her speech was slow and slurred. The woman was taken to the median while an officer moved her car. The woman staggered to the area with another officer. She was then taken to a nearby parking lot for more questioning. Police asked her if she would do a field sobriety test. She said, "No, please, my stomach hurts from cramping." She then continued to tell the officers that she wasn't feeling well because she had just started her period. When asked if she was refusing the sobriety test, she said "Honestly, I'm too messed up and too in pain to do any test right now." The woman told officers that she had four shots of rum around 6 p.m. before going to the concert. After the show, she went to Chipotle and had a burrito and two more shots. She said that she did not remember leaving Chipotle. She said, "Look officer, I know I shouldn't have drove home, but I didn't have money for a cab; and I don't trust anybody in my condition to drive me home, so I just decided to drive." She did not remember passing out in the intersection or why her dress was up and her underwear pulled down. The officer asked her if she thought she did not remember because she drank too much. The woman said, "Well yeah officer, isn't that obvious?" The woman was taken to the University of Arizona Police Department station where she was given a breathalyzer. Her blood alcohol content was .188 and .171. The woman was cited for DUI-Impaired to the slightest degree, DUI-BAC greater than .08, Extreme DUI-BAC greater than .15, minor under 21 operating a vehicle with liquor in the body, and stopping prohibited-obstructing traffic. She was then released. Two students were cited for being minors in possession of alcohol Feb. 7 at 8:45 p.m.
Police saw a parked car containing two individuals, one in the front passenger seat, and one in the back passenger seat. As they approached the car, the man in the front seat poured a liquid from a red cup out of the car and put the cup under the seat. Police made contact with the man and asked him to step out of the car. They found the red cup, which smelled of tequila, under the seat. The woman in the back passenger seat had a half-full 40-ounce bottle of Mickey's at her feet. Both were cited and released for being minors in possession of alcohol. 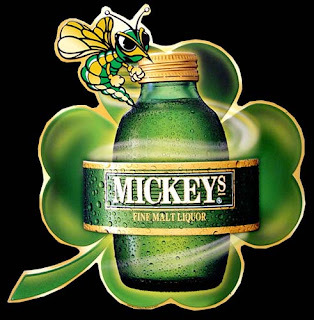 I just like this story because I love to see people still drinking Mickeys! Just one quick question for these two though? Why are they sitting in a parked car drinking? And why is one in the front seat and one in the back?